I can never resist a fabulous accessory, especially one that adds a pinch of the season to your outfit without looking too kitschy. 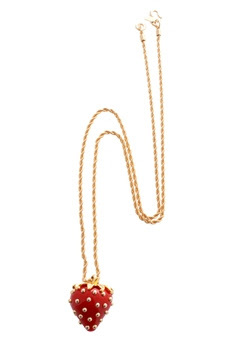 I was instantly smitten with this delicious red strawberry pendant from Kenneth Jay Lane that whispers fab summer chic to me every time I look at it! Gorgeous! 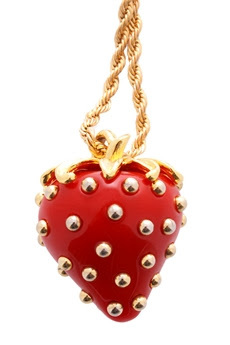 I have a weakness for all things with strawberries...I imagine wearing them to strawberry festivals and all sorts of fun summer events. You are spot on! Summer in a necklace!